Amazon - instantwatcher - 01-In the Beginning-Warfare! 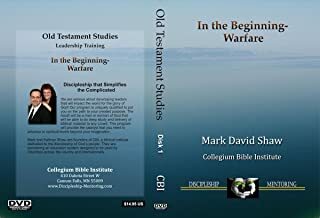 In the Beginning-Warfare: In the beginning of our Old Testament studies we take a close look at the warfare the enemy lodges against us right from the beginning of creation. His methods have not changed. You will learn how being a child of God makes you safe. You will also see what the constellation "The Fleeing Serpent" has to do with God's positioning you to have authority.